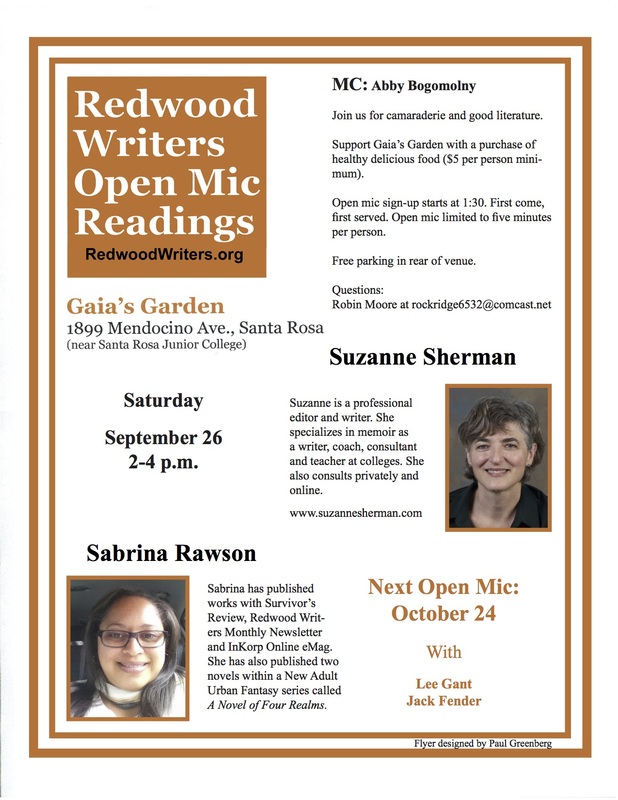 Come read aloud with the Redwood Writers at the September 26th Open Mic. All writers and poets are welcome! It is not necessary to be a member of Redwood Writers to participate. Don’t feel like reading aloud? 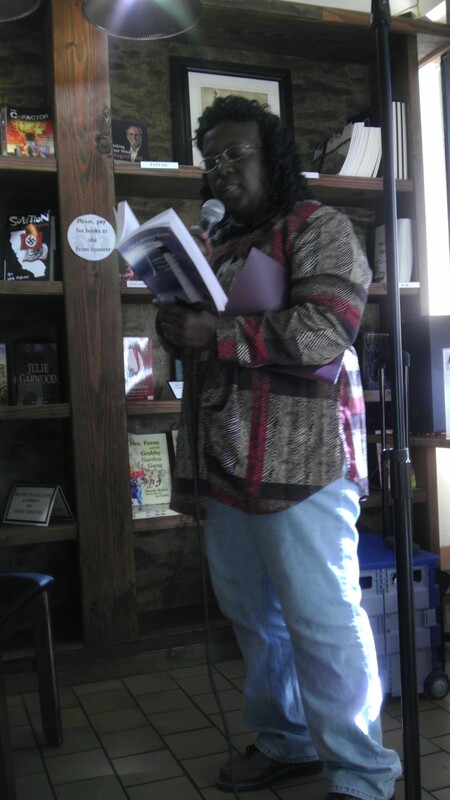 Then come anyway and enjoy the company and readings for fellow poets and writers. Our Featured Readers that day will be Sabrina Rawson and Suzanne Sherman. (Rawson and Sherman are pictured in the above flyer.) Open Mic sign ups start at 1:30 p.m. that day, at Gaia’s Garden on N. Mendocino Avenue in Santa Rosa, CA. It is first-come-first-serve to reserve a five minute Open Mic spots. The Open Mic is set for 2 to 4 p.m. Bing a friend! This entry was posted in authors, California Writers Club, poets, reading, Redwood Writers and tagged California Writers Club, poets, reading, Redwood Writers, writers. Bookmark the permalink.